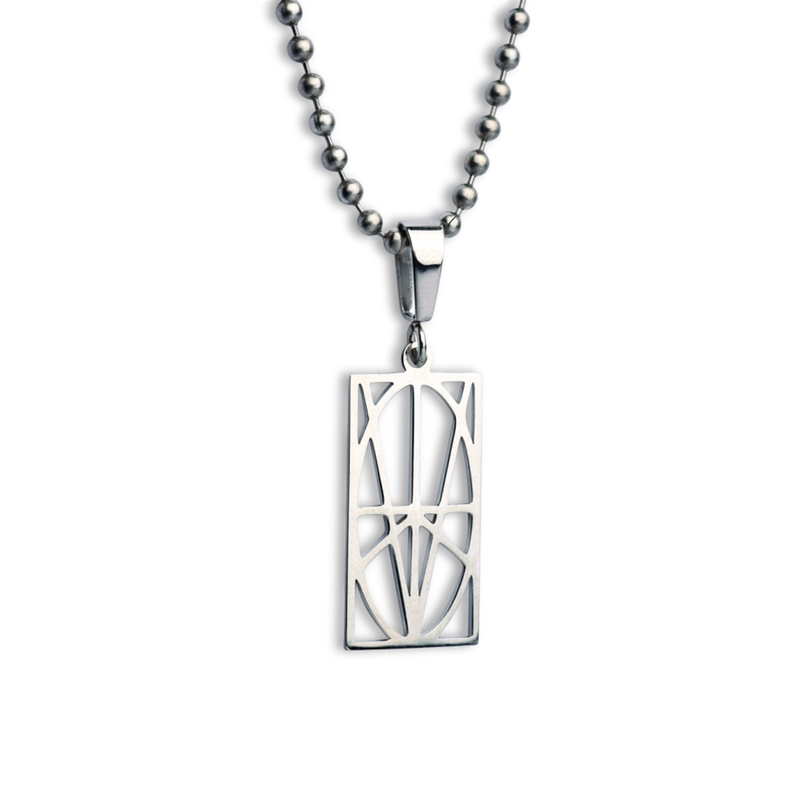 Pendant measures 7/8" x 1/2"
Stainless steel is popular among men as it has less shine and maintenance than sterling silver. It won't tarnish and can be worn at all times. Zymbol pendants come in 2 sizes and overall the larger version sells better with men. However, this small pendant is perfect for younger Zymbologists or someone who would put it on a shorter chain.